Now lets get talking about nutritious food. I enjoy eating the salads at Wholefoods. If I had a big budget for food, I would eat there almost everyday or as much as I can. There are at least 3 in my surrounding area. That can be a good thing or a bad thing. It depends on your situation. I limit my salad bar and hot bar food purchase at Wholefoods to a minimum. However, there’s a salad that I want each time I stepped into Wholefoods. I am in love with their Kale Waldorf Salad. I was so happy to find the recipe on their website and finally made my own at home. In my opinion, this salad will taste great even for people who don’t like Kale or don’t know what Kale is. And if you already love Kale, you will love it even more. The key to making this recipe great is to chop the Kale very finely. Place kale in a large bowl. 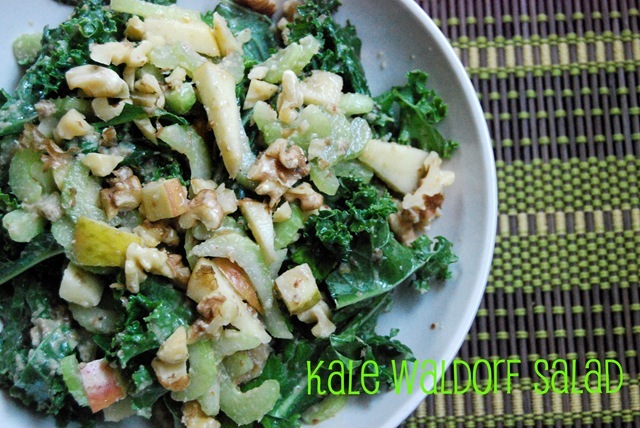 Chop half the apple and add to kale along with celery, 1/4 cup walnuts and 1/4 cup raisins. Chop remaining half of apple and put in a blender along with remaining 1/4 cup walnuts, remaining 2 tablespoons raisins, mustard, water, vinegar and salt. 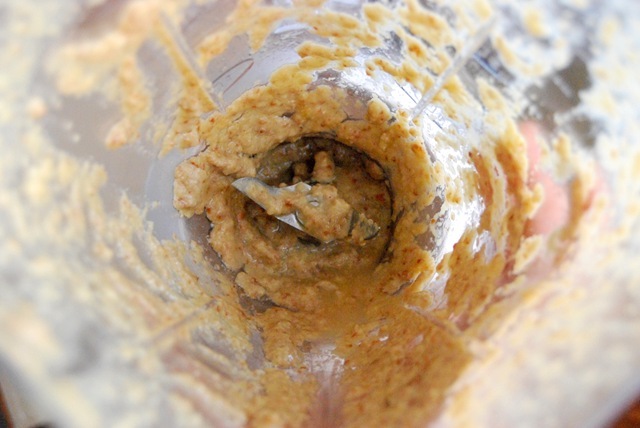 Purée until well combined and slightly thick, adding water if needed to thin. Pour dressing over kale salad and toss to combine. I was surprised that the dressing didn’t have any mayonnaise in it. It tasted creamy. I guess the key ingredients are the blended toasted walnuts. One of the most nutritious vegetables you can eat. 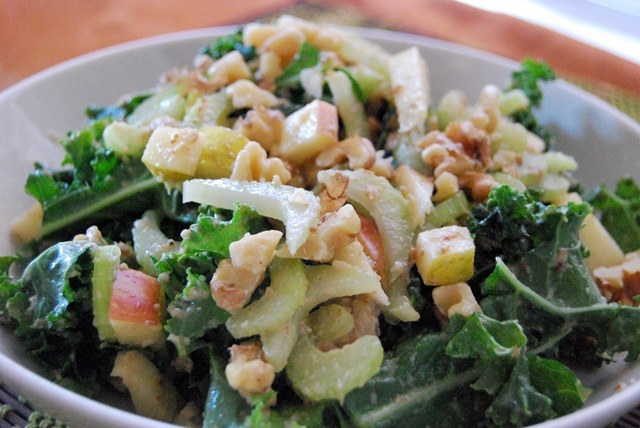 This salad has great crunch texture with the walnuts, apples and celery. 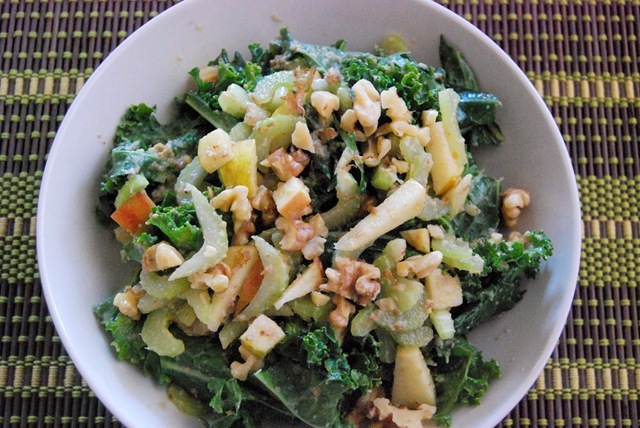 The dressing is creamy enough to coat the individual kale pieces. Do you like Kale? 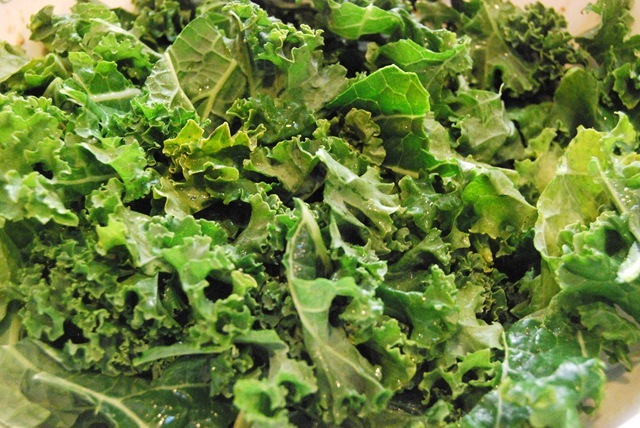 What is your favorite recipe using Kale? That salad looks great! I am with you on Whole Foods. I would love to eat their hot bar food everyday but it is way too expensive! I love Kale! I really like roasting it with some garlic salt and making kale chips! So good! Thanks for posting this recipe! It looks awesome!!!! That salad looks delicious and the fact that there’s Kale in it so nutritious. I definitely want to make this. I’ve never had Kale. I know – it’s on my list to try! I’ve never gotten this salad at WF before, but it looks great! I’ve also yet to try raw kale, so this sounds like a solid way to try it! I love kale and I love that salad from whole foods! I wish I could eat there everyday too 😉 Thanks for the delicious recipe! I love kale! I made a frittata with it that turned out well. It’s much better than spinach in some dishes, in my opinion. Ya know, I’ve only tried kale once. 🙂 I might have to give this a try!